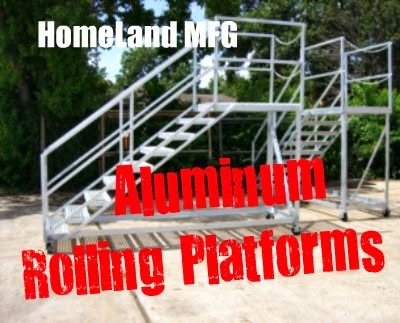 Aluminum Work Platforms, Buyers guide for an aluminum rolling ladders. 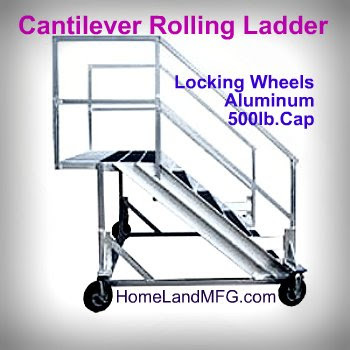 Light weight, economical and can build to your concept or design. 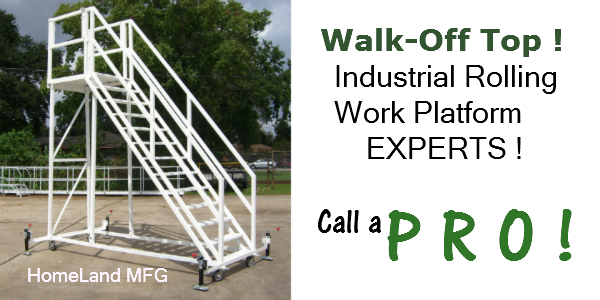 We are Aluminum Work Platform professionals and can build to your design or concept. 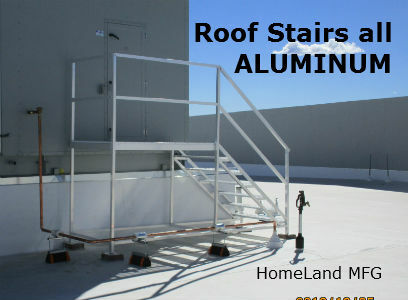 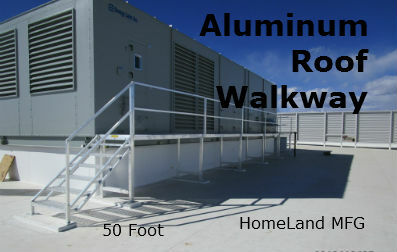 ALUMINUM WORK PLATFORMS are often designed as a TILT & ROLL LADDER. 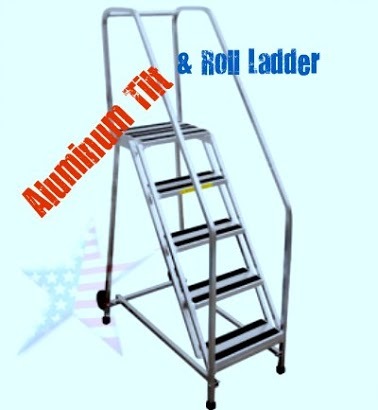 An Aluminum Rolling Ladder is a Terrific Office Ladder. 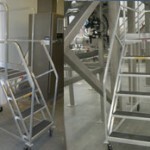 Aluminum Ladders are also used in Clean Rooms or as a Maintenance Platforms. 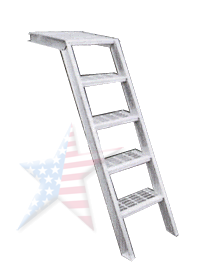 Because of the aluminum light weight & corrosion resistance these ladders are used in adverse conditions and in clean environments. 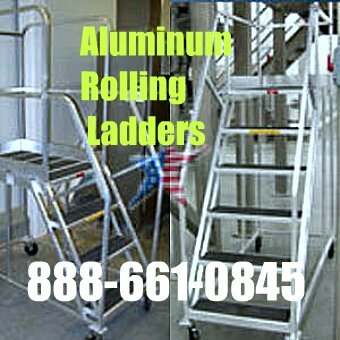 Aluminum Rolling Ladder grip tape treads are standard, but we can also design them with serrated treads for an even more safe surface. 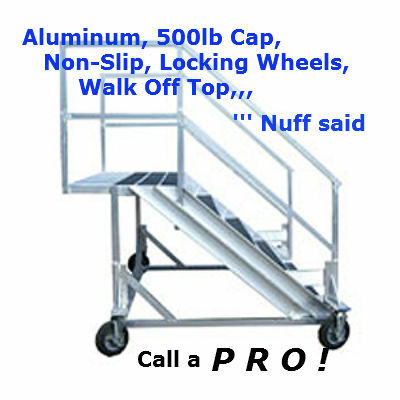 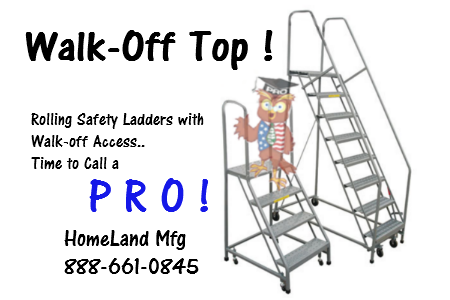 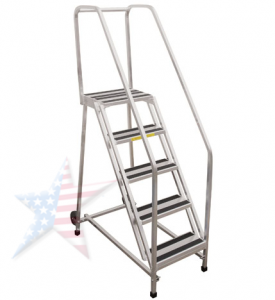 We offer Aluminum Work Platforms, Aluminum Rolling Ladders and Aluminum Stands.